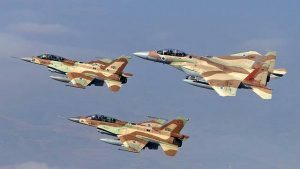 Israeli Air Force jets struck targets in Damascus and hit a Hizballah arms convoy bound for Lebanon Tuesday night. This was an intriguing uptick because of the target. Israel has vowed to prevent Hezbollah from obtaining “game-changing” arms — in particular advanced anti-aircraft systems and chemical weapons. Everybody knows this, including Russia and the United States. Apparently their security services found out something. These types of incidents involving Israel are important to note because they can have a domino effect in an already hair-trigger situation. Up to this point, most of the players involved have fortunately elected to not push Israel further.